The environmental impact of aviation in the United Kingdom is increasing due to the increasing demand for air travel in the country. In the past 25 years the UK air transport industry has seen sustained growth, and the demand for passenger air travel in particular is forecast to increase more than twofold, to 465 million passengers, by 2030. 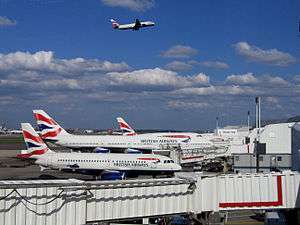 Two airports; London Heathrow Airport and London Gatwick Airport, are amongst the top ten busiest airports in the world for international passenger traffic. Whilst more than half of all passengers travelling by air in the UK currently travel via the five London area airports, regional airports have experienced the most growth in recent years, due to the success of 'no-frills' airlines over the last decade. The ability of the existing airport infrastructure to meet forecast demand is limited, and government policy published in 2003 supports the development of additional airport capacity by 2030 to address this. The strategy is generally based on making the best use of existing facilities, although an additional five new runways nationwide are considered to be necessary, three of them at the London airports of Stansted, Heathrow and, towards the end of the timeframe involved, Gatwick. This policy is designed to be a balanced and measured approach to the future of the air transport industry; one that recognises both an economic advantage in providing for growth in demand for air travel and also the need to address the consequent environmental impacts. The strategy has been criticised by the House of Commons Environmental Audit Select Committee, by environmentalist and campaign groups, and in research papers, for implementing a predict and provide model that overstates the economic advantages whilst paying insufficient heed to the environmental consequences. Support for airport expansion is based on an economic case that regards the air transport industry not only as an important industry in its own right, but also as a facilitator of growth for the economy as a whole. One study predicts that the government's strategy will realise an additional £13 billion per annum in Gross Domestic Product (GDP) by 2030. Another study which is critical of the government approach, and which favours addressing environmental impacts through increased taxation of air transport, indicates a negative economic benefit resulting from airport expansion. In 2006 the industry was responsible for over 6 per cent of all UK carbon emissions, a figure that is set to rise as demand increases. Under current strategies of emissions reduction and growth in air transport, air travel in the UK could account for up to 50 per cent of the UK carbon budget by 2050. Industry attempts to address this issue are longer term efforts based on technological and operational improvements, whilst government policy is based on the inclusion of air transport within emissions trading schemes. Critics advocate a shift in government policy to address environmental impacts by constraining the growth in demand for air travel, primarily through the use of economic instruments to price air travel less attractively. Local environmental issues include noise and air quality, and the impact of these, particularly in the case of the former, is subject to debate. Government policy generally is that these are local issues best addressed locally, and has introduced legislation designed to facilitate this. 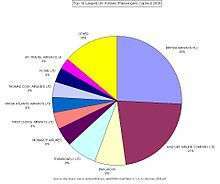 Air transport in the United Kingdom is a growth industry. In the period 1981 to 2006 the number of terminal passengers increased by 400 per cent and air transport movements by 250 per cent. Although the transport of freight declined slightly year on year between 2004 and 2006, in the decade since 1996 air freight has increased by 31 per cent. During the period in which government policy was being formulated the number of passengers exceeded 200 million, and in 2006 the industry handled over 236 million passengers (up 3 per cent from the previous year), with nearly 2.4 million air transport movements (up 1.8 per cent). Air traffic services for all UK airspace is provided by National Air Traffic Services (NATS), which also provides air traffic control at 15 airports. The largest airport operator is BAA Limited, owner of six UK airports including London Heathrow airport. In some cases airport ownership is in the hands of local government authorities rather than private businesses, and the largest UK owned operator, Manchester Airports Group, operator of Manchester Airport, Bournemouth Airport, East Midlands Airport, and Humberside Airport, is owned by a consortium of 10 Manchester area local authorities. Whilst the number of airports in the UK runs into hundreds, many are smaller aerodromes dealing with general aviation rather than air transport. In terms of the latter, statistics are collected from 59 main airports, and the largest concentration of services is located in the London and South East of England areas. Heathrow is the largest airport in the country, handling over 67 million terminal passengers in 2006, making it the third busiest airport in the world, and the busiest if measured by the number of international passengers. Nearly a third of all overseas residents visiting the UK enter the country via this airport, which also handles more than a fifth of all overseas visits by UK residents. Even though there are no dedicated freight services operating out of Heathrow, the practise of transporting cargo in the holds of passenger aircraft means that this airport still accounts for more than half of all freight handled by UK airports. Gatwick airport, with 34 million terminal passengers, is the second largest in the country, eighth busiest in the world for international passenger traffic, and lays claim to the busiest single runway airport in the world. Between them the five London airports handle nearly 137 million terminal passengers, 59 per cent of the national total. Stansted and East Midlands airports have both experienced large growth in freight handling over the past decade, and these two airports are the major hubs for express freight operations. Outside of London and the South East, the use of regional airports has increased dramatically in recent years, with the amount of air traffic using these facilities doubling in the period 1995 to 2005. To illustrate this growth, in the five years from 2001 passenger numbers at the regional airports of Exeter International Airport, Bristol International Airport, and Newcastle Airport increased by 191 per cent, 113 per cent, and 60 per cent respectively. In the same period the largest airports experienced some of the slowest growth, with Heathrow passenger numbers increasing by 11 per cent, and those of Gatwick increasing by less than 10 per cent. The majority of all passengers travelling by air to or from the UK are carried by UK airlines, of which there are around forty, and at the end of 2006 the UK air transport fleet numbered 963 aircraft, flying just under 1.2 million flights and averaging over eight hours of flying daily. Together the two largest airlines as measured by passenger numbers; British Airways and easyJet, account for nearly half of the 127 million passengers flown on UK airlines. In terms of capacity, both available and used, British Airways is again the largest airline, whilst easyJet is pushed into third place by Virgin Atlantic Airways. British Airways passenger flights also account for over 50 per cent of all cargo carried by UK airlines, and when combined with its cargo operations the airline carries over 60 per cent of all cargo carried by UK airlines. The advent in the mid-1990s of ’no-frills’ carriers, such as easyJet, has had a significant impact on air travel in the UK. In 2005 these airlines carried 77.5 million passengers, up from just 4.3 million in 1996. They are responsible for the growth of regional airports, operating from 35 airports in 2006 compared to 10 in 1996, and increasing the choice of international destinations, serving 150 in 2006, compared to 12 a decade earlier. The annual rate of growth in the overall demand for air travel has remained stable since 1975, averaging 5.8 per cent annually. Recent growth is being serviced by the no-frills airlines at the expense of traditional carriers which, since 2000, have experienced flat or declining traffic levels. In response, traditional carriers have lowered costs to compete more effectively on price, leading to lower prices on the short haul routes serviced by this sector, especially in business fares. They have also limited or reduced capacity and in some cases launched no-frills subsidiaries of their own. Just over a fifth of all terminal passengers are travelling on domestic routes only, whilst half are travelling between the UK and the rest of the European Union (EU). Of the latter, travel between the UK and Spain, France, Germany and Italy account for around half, with Spain almost matching the other three combined in terms of passenger numbers. Outside of the EU, the United States, the Far East, Switzerland and the Middle East together account for just over half of all passengers flying between the UK and the rest of the world, with the USA exceeding the other three combined in terms of passenger numbers. Air travel is the most popular mode of transport for visitors both to and from the UK. In 2005 it was used for 80 per cent of all visits by UK residents travelling overseas and by 74 per cent of all inbound visits. Just over a quarter of all passengers are travelling on business. The advent of no-frills carriers has had a significant effect on passenger travel profiles, with strong growth in business travel from regional airports, and increasing inbound traffic generated for the purposes of non-UK residents visiting friends and relatives based in the UK. Whilst these carriers have been perceived to democratise air travel, providing the opportunity for lower income groups to travel more often, the main result is actually that middle and higher income groups travel more often, and often for shorter trips. Researchers have been raising concern about the globally increasing hypermobility of individuals, involving frequent and often long distance air travel and the resulting environmental and climate impacts. The availability of airport capacity has been identified as an important constraint on the ability to meet the increasing demand for air travel. In many cases airport capacity is already fully used in meeting current demand. At Heathrow and Gatwick airports the runways are full for "… virtually the whole day". In 2003 the runway at Birmingham airport was expected to reach full capacity by 2009 at the latest, whilst terminal capacity at Edinburgh airport had reached its limit. Government forecasts that year predicted that by 2030 the number of passengers could rise to between 400 million passengers per annum (mppa) and 600 mppa, representing a two to threefold increase, and a figure of 500 mppa by 2030 was regarded by the government as robust. In 2006 the government reported that at 228 mppa the demand for air travel the previous year was in line with the 2003 forecast, but also revised the forecast demand for 2030 downwards to 465 mppa as a result of capacity constraints, even taking into account proposed airport developments. The law governing aviation in the UK is defined by the Civil Aviation Act 1982, which is updated periodically with amendments, the latest being the Civil Aviation Act 2006. The government department responsible for legislating changes in national policy and long term strategy relating to aviation is the Department for Transport (DfT). At the operational level the independently run Civil Aviation Authority (CAA) regulates economic, safety, and consumer protection aspects, as well as airspace policy, although these responsibilities are being increasingly ceded to the European Aviation Safety Agency (EASA). International aspects of air transport are regulated by agreements made within the International Civil Aviation Organisation (ICAO) as established by the Chicago Convention, whilst most new legislation is now made at the European level through the European Civil Aviation Conference (ECAC). As a consequence, other than in airport development, there are few aspects of the air transport industry in which the government can act in isolation. Whilst airport development in the UK is subject to local planning authority processes, the government regards airports as an important part of the national infrastructure and which therefore requires their development to be planned with a strategic approach. To support this, the government began a three-year public consultation process with the publication in December 2000 of The Future of Aviation consultation document. This outlined the issues underpinning air transport and sought views on how they should be addressed in any future policy. One of the main questions asked was whether policy should focus on meeting demand or whether it should focus instead on limiting the negative effects of air transport. Another key issue for which views were sought was how the industry might best meet the environmental costs it incurs. Between July 2002 and February 2003 a further seven regional consultation documents were published. These focussed on the economic, environmental, social and airspace appraisals relating to options for future airport development specific to the regions, and together they generated half a million responses. During the Spring of 2003 workshops based on a consultation document titled Aviation and the Environment - Using Economic Instruments were held to seek stakeholder views on the desirability and effectiveness of various financial measures that might address the environmental impacts of aviation. The consultation process ended in December 2003 with the publication of The Future of Air Transport White Paper which detailed the government's conclusions. Expansion of Edinburgh Airport with an additional runway, to accommodate up to 20mppa by 2020, and the recommendation that measures be taken to safeguard a possible additional runway at Glasgow International Airport. Cardiff Airport to remain the main airport serving South Wales, to be supported by additional terminal capacity and improved surface links, subject to satisfactory resolution of any local environmental concerns. Support for the development of capacity within the existing boundaries of Belfast Airport and early consideration of the future development of the City of Derry Airport, with all developments needing careful environmental assessment. Expansion of Manchester Airport to increase terminal capacity to support up to 50mppa, accompanied by "stringent measures" to minimise noise disruption and ensure air quality standards. 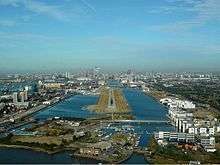 The possibility of extending the runway at Liverpool Airport. Development of surface access at a number of airports in the region. Expansion of Birmingham Airport with an additional runway, accompanied by "stringent measures" to minimise noise disruption and ensure air quality standards, and improvements to surface access. The option to expand East Midlands Airport with an additional runway is to be kept under review. Development of Bristol Airport with a runway extension and additional terminal, to support up to 12mppa, having due regard to the environmental impact of such developments, and support for the development of Bournemouth Airport, conditional on surface access improvements and minimal or compensated impacts on sensitive ecological sites. Support for development of Newquay and Exeter Airports. Expansion of Stansted Airport with an additional runway, with "strict environmental controls", as soon as possible and in the expectation of achieving this around 2011/2012. Development of Heathrow Airport, conditional on meeting "stringent environmental limits", to include an additional runway in the 2015–2020 timeframe, and "… an urgent programme of work and consultation to find solutions to the key environmental issues at Heathrow …". Expansion of Gatwick Airport with an additional runway after the planning agreement preventing this expires in 2019. In December 2006 the government published the Air Transport White Paper Progress Report 2006 to report on progress made in "… delivering a sustainable future for aviation." The report re-iterates the government’s commitment to the strategy defined in the original White Paper, stating that it "… strikes the right balance between economic, social and environmental goals." It also reports that; the extra runway at Edinburgh airport is now thought unlikely to be needed before 2020; Bristol airport does not currently see a case to support extending its runway, although the option will be kept under review; the additional runway at Stansted airport is not expected to be operational before 2015; and the runway extension at Liverpool airport is now being proposed for early next decade. Elsewhere, recent forecasts conducted for Birmingham airport indicate that a new runway will not be required there before 2030. Following the publication of the White Paper, the Project for the Sustainable Development of Heathrow ('Project Heathrow' for short) was set up to examine how expansion at Heathrow could best be accomplished within the constraints of the stringent environmental limits the White Paper required. A provisional assessment indicates that increased usage of the existing runways could be realised without increasing the number of people affected by noise if 'mixed mode' operations (the simultaneous use of both runways for arrivals and departures) are phased in gradually as noisier aircraft are retired. Indications ahead of the Project Heathrow environmental assessment indicate that increased noise and deterioration in air quality are likely to significantly constrain traffic using a new third runway. These issues are to be addressed as part of a three-month consultation beginning in December 2007, and considerable opposition is being mobilised against the expansion of Heathrow. The aviation industry and the government have together commissioned two significant studies into the economic impact of air transport, both undertaken by the consultancy Oxford Economic Forecasting (OEF). The first; The Contribution of the Aviation Industry to the UK Economy, was published in 1999 and was used as a source of economic information in The Future of Air Transport White Paper. The second study; The Economic Contribution of the Aviation Industry in the UK, co-sponsored by the national tourist agency VisitBritain, was published in October 2006 to extend and update the earlier report, and was used as a source in the Air Transport White Paper Progress Report 2006. Both studies concluded that whilst aviation is an important industry in its own right, the most important contribution is as "… a facilitator of growth for the economy as a whole." Environmental groups dispute the economic benefits that are claimed for air transport, and the OEF reports have been specifically challenged. The Aviation Environment Federation (AEF), publishing the Rebuttal of Oxford Economic Forecasting Report, has labelled the 2006 OEF report "biased and misleading". AirportWatch, an umbrella movement for national environmental organisations and airport community groups opposed to aviation expansion, has produced a critique of the 2006 OEF report and the DfT’s reliance on economic research that has been "… sponsored by the aviation industry." In response to government policy supporting further growth in aviation, Friends of the Earth (FoE) published Pie in the Sky in September 2006. This study concludes that the economic benefits of aviation have been exaggerated, and that the costs arising from environmental damage, as well as to other sectors of the economy, are ignored. Also published in 2006, the Environmental Change Institute study Predict and decide - Aviation, climate change and UK policy re-examined the economic arguments made in favour of aviation, concluding that restricting future growth would not necessarily be detrimental to the economy, and could potentially result in some economic benefits. In terms of direct impact on the UK economy, air transport is an £11.4 billion industry, a figure which represents 1.1 per cent of the country’s economy. It employs 186,000 people (full-time equivalents), and indirectly supports an additional 334,000 jobs, although the inclusion of indirect employment as an economic benefit of air transport is disputed. In terms of productivity the aviation industry in 2004 was the third most productive, after the oil/gas extraction and utilities sectors, exceeding the national average by a factor of two and a half. The industry is also very capital intensive, accounting for up to 3.5 per cent of total UK business investment in the period 2000 to 2004. Air transport was directly responsible for £3.6 billion in tax and national insurance contributions in 2004/5, which includes £0.9 billion raised in Air Passenger Duty (APD), a figure set to double after APD rates were doubled in February 2007. Because of the global nature of the industry, article 15 of the Chicago Convention effectively prevents the imposition of fuel duty on aviation, and the industry does not pay Value Added Tax (VAT). Environmental groups argue that these, along with duty-free sales, are iniquitous tax concessions valued at £9 billion annually. Despite generating £6.9 billion in exports in 2004, representing 3 per cent of all UK exports and 7 per cent of the total export of services, the patronage in the UK of air transport services provided by overseas airlines resulted in a £3.3 billion balance of payments deficit attributable to the industry. The government’s response to the challenges of an increasingly global economy is to build a "strong, modern knowledge economy", and the 2006 OEF study concludes that the UK economy is "…set to become increasingly dependent on aviation as the structure of the economy evolves." The availability of air transport services is regarded as an important factor in facilitating business activities, with benefits being realised in sales and marketing activities, customer and supplier relationships, the ability to serve a wider market, access to emerging markets, and more efficient production. Within industry sectors that are likely to support the development of a knowledge based economy, such as pharmaceuticals, banking and finance, communication services, computer services etc., there is conflicting evidence about a correlation between growth in a sector and that sector’s use of air travel, although survey results show that knowledge based services and high-tech manufacturing businesses are more dependent on air transport for sales than their more traditional economy counterparts. The most successful example of the country’s economic evolution is the international financial services industry based in London. Within this sector aviation services are seen as critically important for both businesses and their clients, even in the era of video-conferencing. London’s air transport services are widely regarded within the London business community surveyed by the OEF to provide a competitive advantage over the rest of Europe, and expansion of airport capacity in the South East has significant support. Whilst these economic contributions are not disputed by environmental groups, they are not considered as sufficient justification to support further growth in air transport services which would primarily service increased demand for leisure travel rather than a business travel market which is already well served. Transport links generally are regarded as an important factor which affects a company’s decision on where to locate, and thus invest, although the latest survey shows quality of telecommunications moving above transport in importance. Survey evidence indicates that a quarter of companies regard access to air services as an important factor in the decision of where in the UK to locate operations, whilst one in ten companies report that the absence of good air transport links has affected their decision to invest in the UK. The survey has been criticised as suffering from a poor response rate and therefore open to bias, though this issue has been recognised and rationalised by the report's authors. easyJet, one of the no-frills carriers that has changed air travel in the UK in recent years. Tourism is an industry where the influence of air transport services is more obvious. In 2005 some 22 million overseas visitors arrived by air, spending around £12 billion (1.1 per cent of GDP) and supporting 170,000 jobs in the tourist industry. In the same year air travel also accounted for 36 million trips abroad by UK tourists, and UK tourists as a whole spend twice as much abroad as overseas visitors spend in the UK. This has led to the assertion that aviation represents a "net negative effect" on the UK tourism industry, and that restraining demand for air travel would encourage more domestic tourism, with the consequent economic benefit of reducing the tourism deficit. Exports and imports by air in 2005 were estimated at £62.7 billion and £59.6 billion respectively, with a significant majority of air freight operations being conducted with countries outside of the EU, and express freight operations transporting 5 per cent by value of all UK exports in 2004. Whilst export/import facilities provide opportunities for international trade and competition, they are not without negative effect, and British horticulture is one example of domestic industry damaged by cheap imports. Attempts to quantify the economic impact of growth in the air transport sector generate results which depend on assumptions made, and therefore the viewpoint of the organisation making the analysis. The OEF study has produced a figure of £2.5 billion per annum of additional GDP by 2015 for Heathrow, or £7 billion per annum by 2030 if a third runway is built there. Full implementation of the White Paper runway proposals resulted in a forecast yield of an additional £13 billion per annum in GDP by 2030. Calculations done for the AEF, based on a new runway at Stansted, and which assume increased taxation of the industry, result in a negative economic benefit. External costs, also referred to as hidden costs, are quantifications of the environmental and climate impacts of air transport. Whilst setting a financial value on all such impacts is difficult to do precisely, figures have been produced for the most significant. In 2000 the government valued the annual cost of climate change induced by greenhouse gas emissions from UK air transport at £1.4 billion, rising to £4.8 billion per annum by 2030. The impact of noise was costed at around £25 million per annum in 2000, and for the same year the impact on air quality was costed at between £119 million and £236 million per annum. Based on figures produced by the European Environment Agency the AEF has calculated a much higher total external cost for 2000 of around £6 billion. Whilst carbon emissions from all UK activities other than aviation had declined by 9 per cent in the 10 years between 1990 and 2000, carbon emissions from aviation activities doubled in the same period. Air transport in the UK accounted for 6.3 per cent of all UK carbon emissions in 2006. When the radiative forcing impact of other emissions are taken into account the total impact of emissions attributable to aviation is estimated to be twice that of its carbon emissions alone. Although the government has committed to reducing total UK carbon emissions by 60 per cent from existing levels by 2050, its policy is based on the use of "… economic instruments to ensure that growing industries are catered for within a reducing total." Even if this reduction in total carbon emissions is achieved, research published in February 2006 concluded that aviation could account for between 24 per cent and 50 per cent of the UK's carbon budget by 2050. The government recognises that there are no viable alternative aviation fuels, and whilst it accepts that the exemption of aviation fuel from fuel tax is anomalous, it sees no scope for a unilateral approach in addressing this. The strategy adopted in the White Paper seeks to mitigate the global impact of air transport primarily through emissions trading schemes. Although the Kyoto Protocol implemented emissions trading as a means to reduce emissions at national levels, the global nature of air transport means that all air travel is excluded from this mechanism. The government is seeking to redress this through the International Civil Aviation Organisation (ICAO), which has been working on the environmental issue since 1998, but progress is slow. 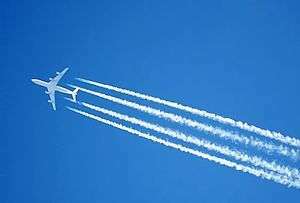 In the meantime efforts are being made to include aviation in the EU Emission Trading Scheme (EU ETS) with an original target to implement this by 2008. In 2006 the government re-affirmed this policy as the best approach for addressing the climate change impacts of aviation, and current proposals aim at accomplishing this for all flights within the EU by 2011, with the scheme being extended to include all flights to and from the EU the following year. 2 emissions, and an 80% reduction in NOx emissions in new aircraft of 2020 relative to new aircraft in 2000. These are however long term aspirations, and whilst progress is being made in engine development, the more immediate efforts of Sustainable Aviation to address climate change are directed towards supporting research, common reporting of emissions, emissions trading, and personal offsetting. Critics of an expansionist policy consider the EU ETS to be too late and to price carbon too low to adequately mitigate the climate change impact of aviation emissions. Instead they advocate addressing these impacts by constraining demand for air travel. The study Predict and Decide - Aviation, climate change and UK policy, noting that a 10 per cent increase in fares generates a 5 to 15 per cent reduction in demand, recommends that the government should seek an alternative aviation policy based on managing demand rather than providing for it. This would be accomplished via a strategy that presumes "… against the expansion of UK airport capacity" and constrains demand by the use of economic instruments to price air travel less attractively. In another study the levying of £9 billion of taxes is calculated to constrain the forecast growth in demand by 2030 to 315 million passengers, reducing the annual rate of growth to 2 per cent. The environmental message is echoed in the ninth report of the House of Commons Environmental Audit Select Committee, published in July 2006, which labels the government strategy a predict and provide model and expresses scepticism about the timescale and efficiency of the EU ETS. It recommends instead that the government rethinks its airport expansion policy and considers ways, particularly via increased taxation, in which future demand can be managed in line with industry performance in achieving fuel efficiencies, so that emissions are not allowed to increase in absolute terms. Under the provisions of the Civil Aviation Act aircraft in flight are specifically exempted from trespass and nuisance controls, which denies any form of redress to those living near airports who are disturbed by noise. Government sanctioned measurements of noise near airports take an average sound level, measured in decibels (dB), over a 16‑hour day, and are expressed as an LAeq figure. Officially, 57 dB LAeq is the threshold at which noise levels become disturbing, 63 dB LAeq represents moderate disturbance, whilst 69 dB LAeq represents high disturbance. Technological improvements in aircraft design means that aircraft are becoming quieter. Taking Heathrow as an example, between 1990 and 2004 the area around the airport affected by noise levels of 57 db LAeq and above fell by 60 per cent, whilst the number of people similarly affected fell by 51 per cent. Campaign groups dispute the methodology used to measure noise, asserting that it is flawed in a number of ways. Amongst other issues they point to the World Health Organisation view that annoyance begins at 50 db LAeq whilst serious annoyance begins at 55 dB LAeq, and they assert that the LAeq measurement does not give sufficient weight to the increasing incidence of noise events. Their conclusion is that noise levels, and the number of people affected, have increased rather than decreased. This is borne out by the latest survey of attitudes to noise published in November 2007 which reports that, compared with over 20 years ago, more people today are annoyed by the same level of noise as measured by LAeq. Whilst this may be attributable to changing attitudes, the report concludes that the contribution of aircraft numbers to annoyance has increased, and that an alternative method of estimating levels of annoyance that takes this into account would appear to be more relevant than the LAeq measurement. The report has attracted criticism in peer reviews, and one such review, characterising the survey as inconclusive, counsels "... against using the detailed results and conclusions [...] in the development of government policy." ↑ "CAA Statistics 2006 - Foreword" (PDF). United Kingdom Civil Aviation Authority. pp. 4–5. Retrieved 2007-10-03. Definitions: Air transport movements are landings or take-offs of aircraft engaged on the transport of passengers, cargo or mail on commercial terms. A terminal passenger is a passenger joining or leaving an aircraft at the reporting airport. A passenger travelling between two reporting airports is counted twice, once at each airport. A passenger who changes from one aircraft to another, carrying the same flight number (change of gauge) is treated as a terminal passenger, as is an interlining passenger. A transit passenger is a passenger who arrives at and departs from a reporting airport on the same aircraft which is transiting the airport. Each transit passenger is counted once only and not both on arrival and on departure. 1 2 "CAA Statistics 2006 - Use of UK Airports 1981–2006" (PDF). United Kingdom Civil Aviation Authority. Retrieved 2007-10-03. ↑ "CAA Statistics 2006 - Freight 1996–2006 Tonnes" (PDF). United Kingdom Civil Aviation Authority. Retrieved 2007-10-03. ↑ "CAA Statistics 2006 - Terminal and Transit Passengers 2006 – Comparison with the Previous Year" (PDF). United Kingdom Civil Aviation Authority. Retrieved 2007-10-03. ↑ "About Us - NATS". National Air Traffic Services. Archived from the original on 2007-10-10. Retrieved 2007-10-29. ↑ "BAA at a glance". BAA Limited. Retrieved 2007-10-27. ↑ "Manchester Airport: About Us & Our Group". Manchester Airport PLC. Retrieved 2007-10-27. 1 2 "CAA Statistics 2006 - Size of UK Airports 2006" (PDF). United Kingdom Civil Aviation Authority. Retrieved 2007-10-03. 1 2 "ACI Information Brief – July 2007" (PDF). Airports Council International. Retrieved 2007-10-03. ↑ "Travel Trends – International Passenger Travel Survey 2005 News Release" (PDF). Office for National Statistics. p. 9. Retrieved 2007-10-03. ↑ "About BAA Gatwick". BAA Limited. Archived from the original on September 28, 2007. Retrieved 2007-10-03. ↑ Heathrow, Gatwick, Stansted, Luton and London City. "CAA Statistics 2006 - Size of UK Airports 2006" (PDF). United Kingdom Civil Aviation Authority. Retrieved 2007-10-03. ↑ "CAA Statistics 2006 - Size of UK Airports 2006" (PDF). United Kingdom Civil Aviation Authority. Retrieved 2007-10-03. Exeter and Bristol airports changed their names to become 'International' airports in 2000 and 1997 respectively. ↑ "CAA Statistics 2006 - Air Passengers by Type and Nationality of Operator 2006" (PDF). United Kingdom Civil Aviation Authority. Retrieved 2007-10-03. ↑ "CAA Statistics 2006 - All Services 2006" (PDF). United Kingdom Civil Aviation Authority. Retrieved 2007-10-03. ↑ "CAA Statistics 2006 - All Services 2006" (PDF). United Kingdom Civil Aviation Authority. Retrieved 2007-10-03. Capacity is measured in 'seat kilometres', i.e. the number of seats available/used multiplied by the distance flown. ↑ "CAA Statistics 2006 - Domestic Terminal Passenger Traffic 2006" (PDF). United Kingdom Civil Aviation Authority. Retrieved 2007-10-03. ↑ "CAA Statistics 2006 - EU and Other International Terminal Passenger Traffic 2006" (PDF). United Kingdom Civil Aviation Authority. Retrieved 2007-10-03. ↑ "CAA Statistics 2006 - International Passenger Traffic to and from UK Reporting Airports (in Thousands) by Country 1996–2006" (PDF). United Kingdom Civil Aviation Authority. Retrieved 2007-10-03. ↑ "Travel Trends – International Passenger Travel Survey 2005" (PDF). Office for National Statistics. p. 16. Retrieved 2007-10-03. ↑ "CAA Passenger Survey Report 2006" (PDF). United Kingdom Civil Aviation Authority. pp. Table 4b, p. 18. Retrieved 2007-10-27. ↑ "Civil Aviation Bill". Department for Transport. Archived from the original on June 9, 2007. Retrieved 2007-10-26. ↑ "Frequently Asked Questions - What does the Agency do?". European Aviation Safety Agency. Retrieved 2008-01-25. ↑ "An introduction to air". Department for Transport. Archived from the original on 2007-10-29. Retrieved 2007-10-26. ↑ "Interim Statement (September 2007)". Birmingham International Airport. September 2007. Retrieved 2007-10-18. ↑ "Project for the Sustainable Development of Heathrow". Department for Transport. 16 November 2006. Archived from the original on November 1, 2007. Retrieved 2007-11-08. ↑ "Stop Heathrow Expansion". Stop Heathrow Expansion. Retrieved 2007-11-08. ↑ "OEF - another misleading economics report". Aviation Environment Federation. 9 January 2006. Retrieved 2008-01-25. ↑ The Economic Contribution of the Aviation Industry in the UK, p. 17 The report identifies that the purchase of aircraft that are subsequently leased to non-UK airlines is likely to have inflated the investment figure. ↑ The Economic Contribution of the Aviation Industry in the UK, pp. 19–20 The contribution to the Exchequer is reported as being understated due to the lack of information on the contribution of associated activities (airport retailers, caterers, baggage handlers and the like). ↑ The Economic Contribution of the Aviation Industry in the UK, p. 50 A correlation is evident when the proportion of air travel within the total transport budget is considered, but not so when air travel spend per employee is used. ↑ "European Cities Monitor 2007" (PDF). Cushman & Wakefield. October 2007. p. 9. Retrieved 2007-10-15. ↑ "Soaring future for cheap flights?". BBC. 11 June 2007. Retrieved 2007-09-10. ↑ "Contraction & Convergence: UK carbon emissions and the implications for UK air traffic" (PDF). Tyndall Centre for Climate Change Research. February 2006. p. 4. Archived from the original (PDF) on August 14, 2006. Retrieved 2007-09-10. There is some debate about whether the government's target of a 60% reduction, which would limit carbon emissions in line with a 550 ppmv target for atmospheric concentrations of carbon dioxide, is sufficient to mitigate against climate change. A more stringent target of 450 ppmv has been suggested, and under this scenario aviation would account for between 50 and 100 per cent of the UK's carbon budget by 2050. ↑ "Press release - Climate change: Commission proposes bringing air transport into EU Emissions Trading Scheme". European Union. 20 December 2006. Retrieved 2007-10-20. ↑ "Airbus Aircraft Families - Introducing the Greener, Cleaner, Quieter, Smarter A380 Family". Airbus. Retrieved 2007-10-21. ↑ "Focus on Sustainability". British Air Transport Association. Retrieved 2007-10-21. ↑ "Sustainable Aviation Progress Report 2006" (PDF). Sustainable Aviation. December 2006. p. 17. Retrieved 2008-01-25. ↑ "EU climate flight plans 'deluded' ". BBC. 4 September 2006. Retrieved 2007-11-09. ↑ "Select Committee on Environmental Audit Ninth Report". British House of Commons. 19 July 2006. pp. paras. 112, 118–125, 113–114 & 126–133. Retrieved 2007-11-12. ↑ "Sections of the Civil Aviation Act 1982 reproduced in Annex 2 - Control of noise from civil aircraft - consultation paper". Department for Transport. pp. section 76. Retrieved 2007-10-26. ↑ "Aircraft Noise - an introduction". AirportWatch. Archived from the original on 2007-08-31. Retrieved 2007-10-26. ↑ "Briefing Sheet - How Noisy are the Planes? How Many People are Affected?" (PDF). HACAN ClearSkies. 16 January 2007. Retrieved 2007-10-27. ↑ "Attitudes to Noise from Aviation Sources in England – Executive Summary for Department for Transport" (PDF). Department for Transport. 2 November 2007. pp. section 1.4.3−1.4.4 & 1.4.12−1.4.13. Archived from the original (PDF) on September 7, 2008. Retrieved 2007-11-13. ↑ "Attitudes to Noise from Aviation Sources in England Non SP Peer Review" (PDF). Department for Transport. October 2007. pp. section 7.9 & 7.13. Archived from the original (PDF) on September 8, 2008. Retrieved 2007-11-13. ↑ "Dangerous levels of toxic gas detected at most major airports". Chartered Society of Physiotherapy. 13 March 2006. Retrieved 2007-10-27. ↑ "Airports fail air pollution test". BBC. 13 March 2006. Retrieved 2007-10-27. ↑ "BAA Southampton Corporate Responsibility Report: Air quality". BAA Limited. Retrieved 2007-10-27. ↑ "Guidelines for Airport Consultative Committees". Department for Transport. Archived from the original on October 7, 2009. Retrieved 2007-10-26. ↑ "House of Commons Hansard Written Answers for 11 May 2004 (pt 19)". Hansard. Retrieved 2007-10-26. ↑ "Control of Noise from Civil Aircraft - The government's conclusions". Department for Transport. December 2003. pp. 6–7. Archived from the original on June 13, 2007. Retrieved 2007-10-26. ↑ "Sound Insulation Scheme - Birmingham International Airport". Birmingham International Airport (United Kingdom). Retrieved 2007-10-26. ↑ "Heathrow blight and noise assistance schemes". BAA Limited. Archived from the original on November 21, 2008. Retrieved 2007-10-26. ↑ "About BANG!". Birmingham Airport anti-Noise Group. Archived from the original on 2007-10-22. Retrieved 2007-11-10. ↑ "HACAN ClearSkies: The campaign". HACAN Clearskies. Retrieved 2007-11-10. ↑ "CASE - Concerned residents Against Staverton Expansion". Concerned residents Against Staverton Expansion. Retrieved 2007-11-10. In 2006 Gloucestershire Airport recorded the lowest number of passengers of all airports from which passenger statistics are collected by the CAA. ↑ "The Campaign Community". AirportWatch. Archived from the original on 2007-10-13. Retrieved 2007-11-10. According to AirportWatch the list of local groups "...is by no means complete". "The Future of Aviation". Department for Transport. December 2000. Archived from the original on February 6, 2007. Retrieved 2007-11-03. "The Future of Air Transport". Department for Transport. December 2003. Archived from the original on July 2, 2007. Retrieved 2007-09-01. "Air Transport White Paper Progress Report 2006". Department for Transport. December 2006. Archived from the original on June 9, 2007. Retrieved 2007-09-01. "Air Transport White Paper Progress Report 2006 (Annex A)". Department for Transport. December 2006. Archived from the original on June 9, 2007. Retrieved 2007-10-18. "The Contribution of the Aviation Industry to the UK Economy" (PDF). Oxford Economic Forecasting. November 1999. Retrieved 2007-10-17. "The Economic Contribution of the Aviation Industry in the UK" (PDF). Oxford Economic Forecasting. October 2006. Retrieved 2007-09-10. "No-Frills Carriers: Revolution or Evolution?" (PDF). United Kingdom Civil Aviation Authority. 15 November 2006. Retrieved 2007-10-18. "Alexander's Ragtime Band". AirportWatch. February 2007. Retrieved 2007-10-09. "Rebuttal of Oxford Economic Forecasting Report". Aviation Environment Federation. December 2006. Retrieved 2007-10-09. "Pie in the sky" (PDF). Friends of the Earth. September 2006. Retrieved 2007-10-09. "Predict and decide - Aviation, climate change and UK policy" (PDF). Environmental Change Institute. September 2006. Retrieved 2007-09-10. Sewill, Brendon (February 2003). "The Hidden Cost of Flying" (PDF). Aviation Environment Federation. Retrieved 2007-10-18. "A strategy towards sustainable development of UK aviation" (PDF). Sustainable Aviation. June 2005. Retrieved 2008-01-25. "e-Digest Statistics about: Noise Pollution". Department for Environment, Food and Rural Affairs. Archived from the original on 2007-08-05. Retrieved 2007-10-26. "Explanatory Notes to Civil Aviation Act 2006". Office of Public Sector Information. 13 December 2006. Retrieved 2007-10-26. "Aviation and the Environment - Using Economic Instruments". Department for Transport. March 2003. Archived from the original on August 11, 2007. Retrieved 2007-10-21. "Attitudes to Noise from Aviation Sources in England (ANASE) study". Department for Transport. November 2007. Archived from the original on November 5, 2007. Retrieved 2007-11-13.